Jill and I had the immense pleasure of traveling to Sicily this summer, July 2011, with my parents Pat and Jim. Jim is a purebred Sicilian but never had the chance to visit, so it was a special trip for all of us to share it with him. 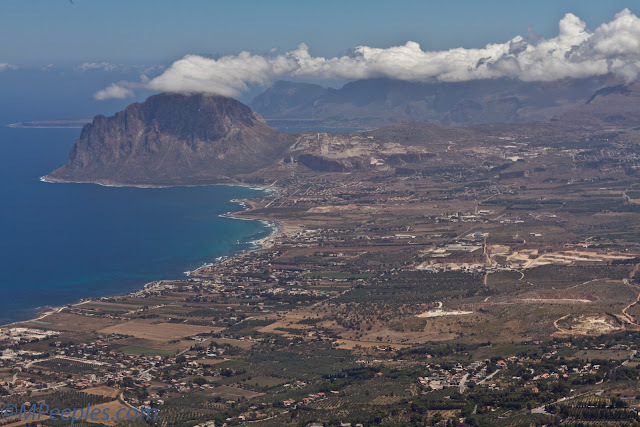 This is a spectacular view from the Norman Castle, the Castello Pepoli e Venere, in Erice, near the northwest corner of the triangulated island on the Tyrrhenian Sea. The small, quaint, beautiful town is nearly 3000 feet above sea level.